British half-miler Theodore Hartmann Just was born today in Bristol in 1886. A Cambridge blue, Theodore had a remarkable athletic record. At school he played in the second rugby XV for three years and was captain in 1904. He rowed in the school first Four for three years, and won the Shepherd cup for the best all-round athlete in 1904 and again in 1905. In the inter-university sports he won for Cambridge the half-mile in 1907, and competed in mile in 1908 and half mile in 1909, his best time for the half-mile in 1908 when he won in 1: 55 4/5 secs. He was amateur champion half-mile for the United Kingdom in 1908, and was president of the Cambridge University Athletic Club in 1908-09. 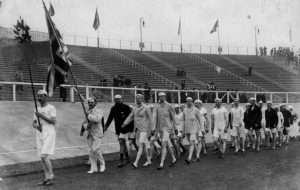 At the fourth Olympiad, held in London in 1908, he took part in the 800m, won his heat by 50 yards, and was fifth in the final when the time was 1:53 1/4 secs; he lost the third heat in the relay race. During his Cambridge career he succeeded in sprinting round the Great Court at Trinity in 55 seconds, whilst the clock struck midnight. He was for some years an Alpine climber, and in later life played golf. He also won the United Hospitals 880y title for four successive years. At the 1908 Olympics he won his first round 800m race easily in 1:57.8. and was fifth in the final with a time of 1:56.4. 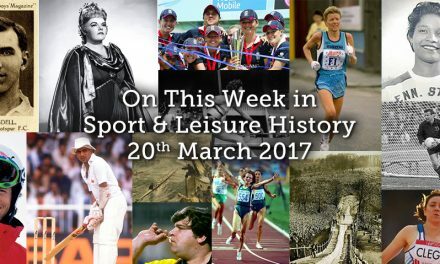 He was also a member of the GB relay team – running the 800m in the medley relay competition, but the team was eliminated in the first round. He was appointed house surgeon to the throat and ear department of St Barts in 1912, where he devoted himself more especially to the bacteriology of diseases of the ear and throat. He acted as chief assistant in the throat and ear department until 16th August 1915, when he received a commission as temporary captain, RAMC, and was attached to No 12 General Hospital at Rouen, where he was ordered to organize an ear, throat, and nose department. At Christmas 1917 he was sent to St Pol as a member of No 33-casualty clearing station with the rank of major, RAMC, and remained with the British Force until he was demobilized in March 1919 after four and a half years’ continuous service. He was mentioned in despatches for conspicuous devotion to duty. In 1921 he was elected assistant aural surgeon at St Bartholomew’s Hospital. He died on 13th February 1937 of pancreatitis, aged 50, after an illness of some months’ duration, and was buried at Highgate cemetery. Born on the day in 1884 – Otto Froitzheim in Strasbourrg. His father worked as a teacher at the local lyceum and his mother was the daughter of a doctor from the Rhineland. During his childhood, he took part in several sports including athletics, swimming, ice skating and football. At the age of 16, he began playing tennis. .He sarted to study law at the University of Strasbourg but in 1902 he interrupted his studies for a year and served at the 138th infantry regiment at Strasbourg. In autumn 1903, following his military service, he continued his studies at the University of Bonn. In 1904, he passed his first law examinations. In 1909, at an age of 25, he finished his studies and graduated after which he worked at customs in Strasbourg. He won his first tennis tournament in 1902 in Alsace-Lorraine. 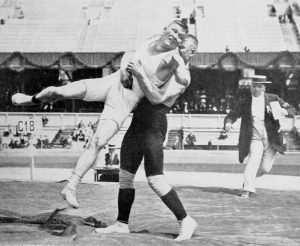 Otto was the first German to win the German International Championship in Hamburg against Major Josiah George Ritchie in 1907, and repeated his success from 1909-11, and in 1921, and 1925. He won the German doubles title in 1907, 1911, 1922, and 1925. 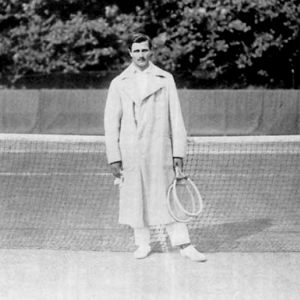 Froitzheim won the silver medal in singles at the 1908 Olympics, but his greatest achievement was losing in the final at Wimbledon in 1914 but taking Norman Brookes to five sets. He was world ranked number 4 in 1914. 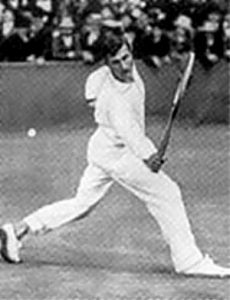 He also competed at Wimbledon in 1910, 1912, and 1928, he was entered in 1908 but withdrew in the first round. 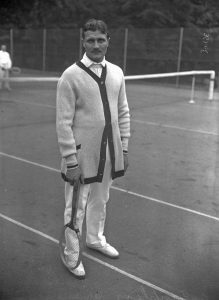 He played five ties for Germany in the Davis Cup, appearing in 1913, 1914, 1927, and 1928, winning one of nine matches. 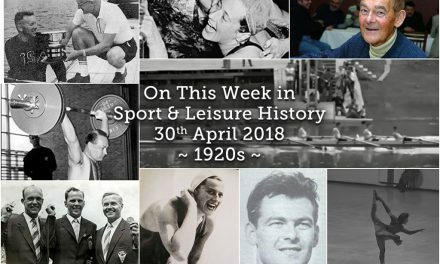 In 1914, partnered by Oskar Kreuzer, he was playing the second round Davis Cup match against Australasia in Pittsburgh, USA when World War I broke out. The president of the local tennis club kept this from Otto and Oskar as he didn’t want to disrupt the match! 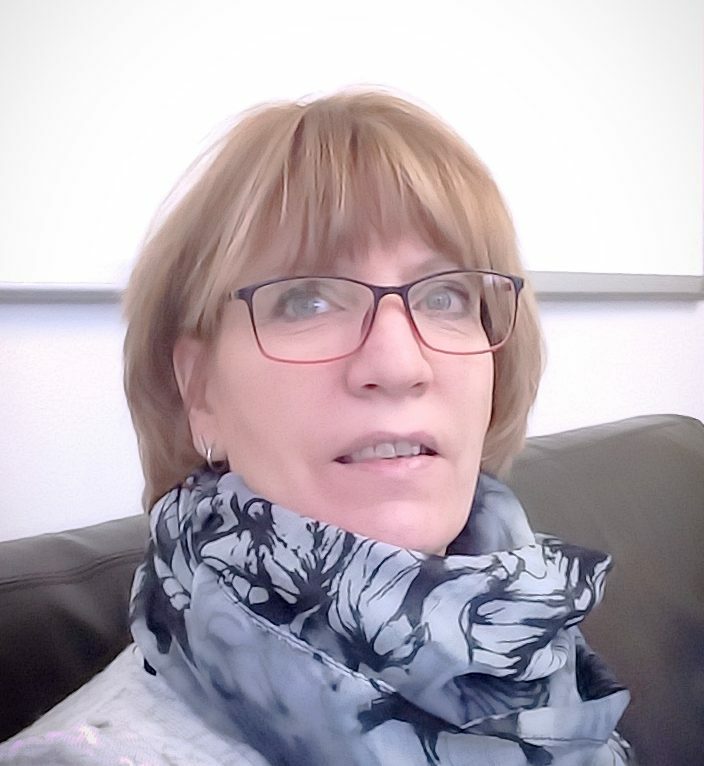 The German team lost 0–5. On their way back to Germany, their Italian steamboat America was halted off Gibraltar by a British warship and they were placed in a prison in Gibraltar for several months before being sent to detention camps in England. While Oskar stayed at a camp near Leeds, officer Otto was kept at Donnington Hall until the end of the war in 1918. After the war he settled in Berlin working with the police department where in 1926 he was appointed as the police president of Wiesbaden. In 1933 he refused to join the Nazi Party, meaning he had to quit his position, but he was a friend of Hermann Göring, who admired his tennis achievements, and Froitzheim became police vice-president at Aachen. Otto was notorious for his many affairs one of them being a short-lived secret engagement with ballet debutante, Leni Riefenstahl, the famous film director of the 1930s, who he met in 1921. He also had a love affair with Pola Negri in the 1920s. He died following a short, serious illness in October 1962. Born today in Massachuesettes, USA in 1888, sprinter Donnell Brooks Young. Affiliated to the Boston AAA, Donnell won the 1911 IC4A 440y, after coming fourth in 1910. He won the 1912 Eastern Olympic Trials to make the team. He competed for Amherst College and the Boston AA. After graduating from Amherst in 1911, he taught at the school from 1912-16 and then at the American Institute in Springfield, and then the College of William and Mary. 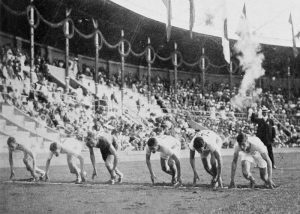 He competed at the 1912 Olympics in the 200m where he finished 6th and the 400m – drawn in the fifth heat with four other runners who were all striving to get to the front by the first bend, meant that the field was crowded together on the crown of the bend. Donnell, who was in front about 10m before the curve grew slightly irritated on seeing the German runner, Braun, coming up rapidly on his right and threw himself out to try and force him further out. Braun lost a place and the judges disqualified Donnell on the spot as it were, but no runner took any notice of the signal and carried on to the end, Donnell keeping the lead, although Braun came close to overtaking him. However, the German was awarded the victory in the heat. After serving in the US Army in World War I, Donnell obtained a PhD in zoology from Columbia University. He then lectured as a college professor, firstly at Dalhousie College in Halifax, followed by Nova Scotia; Carleton College in Northfield, Minnesota; the University of Arizona; the University of Maine; and George Washington University. In 1953 he returned to Hanover, Massachusetts where in retirement he still taught as a substitute teacher. He was a President of the Alden Kindred Society and established a scholarship for the descendants of John and Priscilla Alden. He died on 28th July 1989, aged 101, in Hingham, New Hampshire. Londoner John Phelps “Jack” George was born today in 1882 in Croydon. 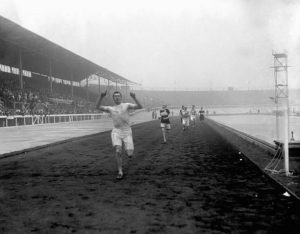 Running for South London Harriers he reached the final of the AAA 440y in 1905, when he finished fourth behind winner Wyndham Halswelle, and the 220y in 1906, Jack won the 220y title in 1907 and some authorities ranked him the top furlong runner in the world that year. He ran in the 400m for South London Harriers in the 1907 Anglo-French meeting against Racing Club de France at Paris Unfortunately, he failed to retain his AAA title in 1908, when he came third in the 220y in a race won by Bobby Kerr of Canada who just two weeks later would go on and win the Olympic 200m title. At those Games he won second heat of the 100m in 113⁄5 seconds, advancing to the semi-finals. In the fourth semi-final, he came last and there failed to make the final. He also won his heat of the 200m, advancing to the semi-finals with a time of 23.4 seconds. His third-place finish in his semi-final race kept him from advancing in that event final as well. He died aged 80 in Purley. London on 26th November 1962. 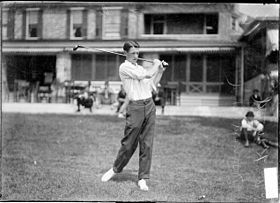 His first big year was 1906, when he won the North & South Amateur, finished 31st in the US Open, and was runner-up in the Western Amateur to Ned Sawyer The next year he went to the quarter-finals of the US Amateur, losing to the redoubtable Jerry Travers. In 1910 he made it to the finals of the US Amateur, but was beaten by Bill Fownes. 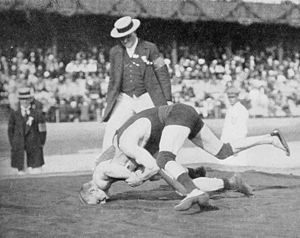 However, in 1912, he got revenge on Fownes by beating him in the second round of the National Championship, only to lose in the semi-finals to Chick Evans. Warren finally won another major title in 1913 when he took the Western Amateur. 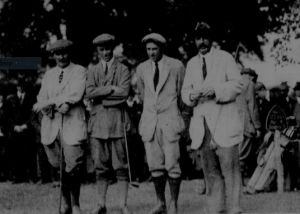 In a golf foursomes match contested on 19th August 1921, Warren and Chick Evans played against Jock Hutchison and Phil Gaudin. It is unclear who won the match but a large gallery of more than 2,000 spectators watched the match which was played at the Lincoln Park public links in Chicago. Sailors from the Great Lakes Naval Station held the ropes to keep the large throng of fans in order. He served with the American Red Cross during first World War and when the war concluded he received his travel orders to return to the United States and departed Brest, France in January 1919 aboard the RMS Celtic, arriving in New York on 3rd February. Warren died on at the age of 39 on 27th October 1926 in Pelham Manor, New York. 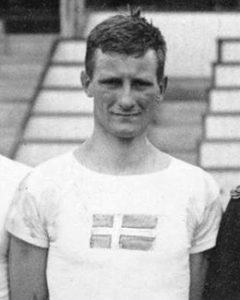 Swedish Modern Pentathlete Erik Patrick de Laval was born in Stockholm today in 1888. Lieutenant Erik de Laval served in the Kungl. Svea Artillereregemente, Royal Svea Artillery Regiment in Stockholm. 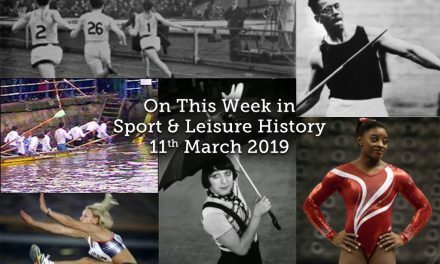 He won the Swedish modern pentathlon trials in April 1912 and came third in May 1912, after he had missed the first competition in November 1911 due to an injury. 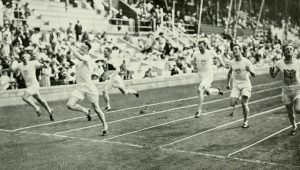 At the Stockholm Olympics Erik competed together with his brothers Georg and Patrik, both also military officers. George de Laval eventually won the bronze medal after leading before the last event, while Erik was disqualified in the cross-country riding. After World War I, only Erik, who was the youngest brother, competed again in Antwerp, taking the silver medal after winning two of the five events – shooting and riding. At the beginning of World War II, Erik was military attache at the Swedish Embassy in Poland and visited various concentration camps several times. In 1942 he was seconded to the Swedish legation in Washington, DC with the rank of colonel. In this capacity he visited camps of Japanese internees, notably in Hawaii. In 1948, he was stationed in Damascus as a member of the UN mission mediating the Arab-Israeli conflict of 1947-48. Erik later wrote books on the modern history of Poland, based on his experiences as well as a biography of the Polish leader Józef Piłsudski. He died in Stockholm on 9th November 1973 aged 85. 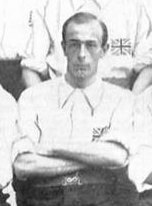 British Olympic footballer Henry “Harry” Stapley was born on this day in Tunbridge Wells in 1883. Originally a schoolteacher, Harry had worked in various parts of the country, where his footballing skills were welcome by the local clubs. In 1904 he took up an appointment at Woodford College and became captain of Woodford Town. 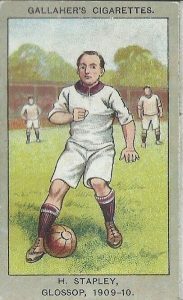 He joined West Ham United midway through the 1905-06 season, where he spent two and a half seasons and scored a total of 41 goals in 75 league and cup matches. 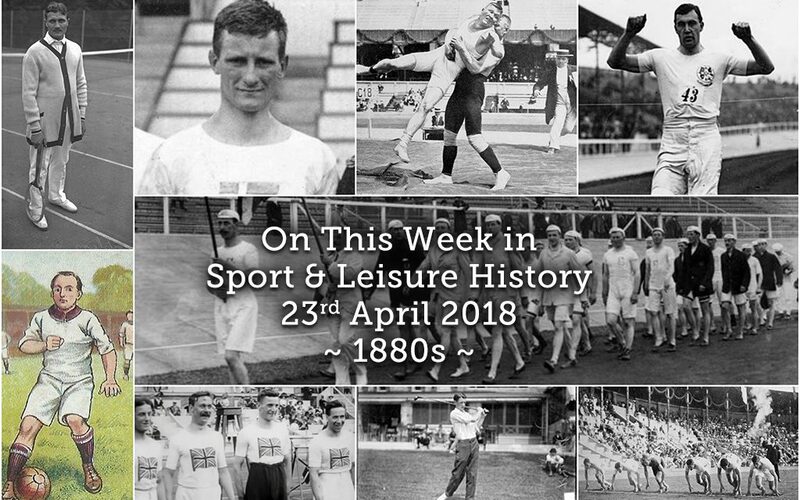 In 1908 Harry accepted an invitation to join Glossop where their patron, Sir Samuel Hillwood, was spending considerable sums of money in an effort to revive the ailing Derbyshire Club. Harry’s brother Will, who won amateur international honours as a centre-half, also went to Glossop but it was Harry who immediately became the favourite of the crowd as he continued to show the same high scoring capabilities which had been the feature of his game at West ham. With 67 goals in 135 appearances he was Glossop’s leading scorer each season from 1908 to 1912. 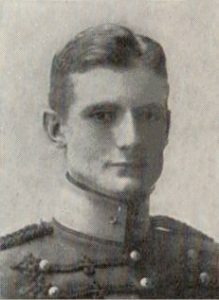 Although he won 12 amateur caps he was never selected for a full international despite the fact that during his four seasons as Glossop’s leading scorer, England called on eight different centre-forwards. 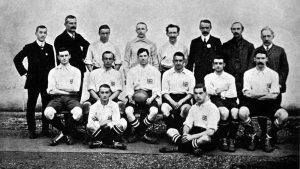 Further proof of his scoring ability came at the 1908 Olympics when he scored all four goals in Britain’s second round win over Holland and, with a total of six goals, was Britain’s leading scorer in the Olympic tournament. 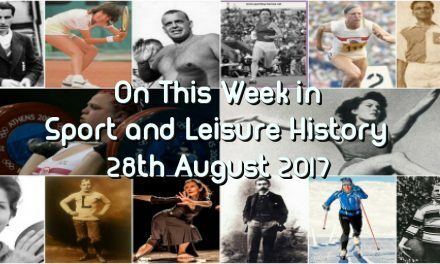 However, Harry’s main duties at Glossop were as private tutor and personal football and cricket coach to the sons of Sir Samuel Hillwood. He was clearly particular successful as a cricket coach as the sound grounding he gave them, later polished by George Hirst at Eton, resulted in all three of the boys winning cricket blues at Oxford or Cambridge. As the years passed, Harry was increasingly taken into Sir Samuel’s confidence and served as a private secretary after his election as the Member of Parliament for the High Peak constituency. He also served as his employer’s nominee on the Board of Directors of various local companies. Harry died on his 54th birthday, April 29th 1937 in Glossop.